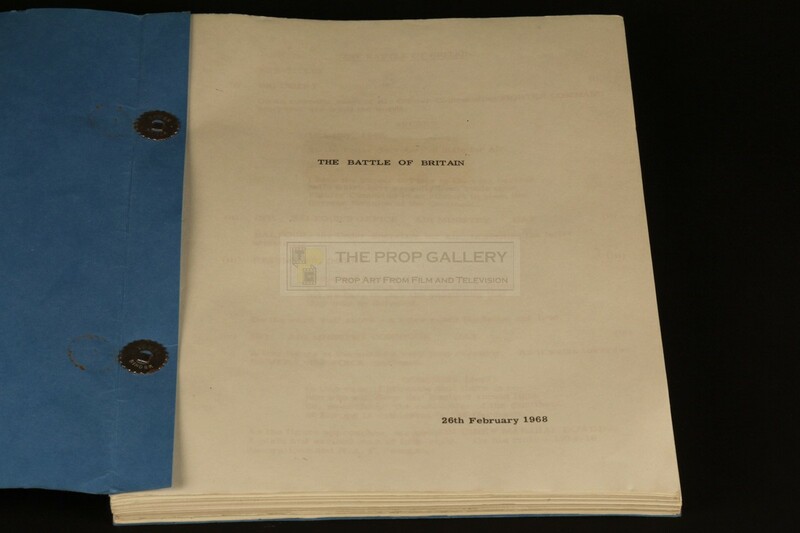 An original script used in the production of Battle of Britain, the classic 1969 war film directed by Guy Hamilton and Harry Saltzman. 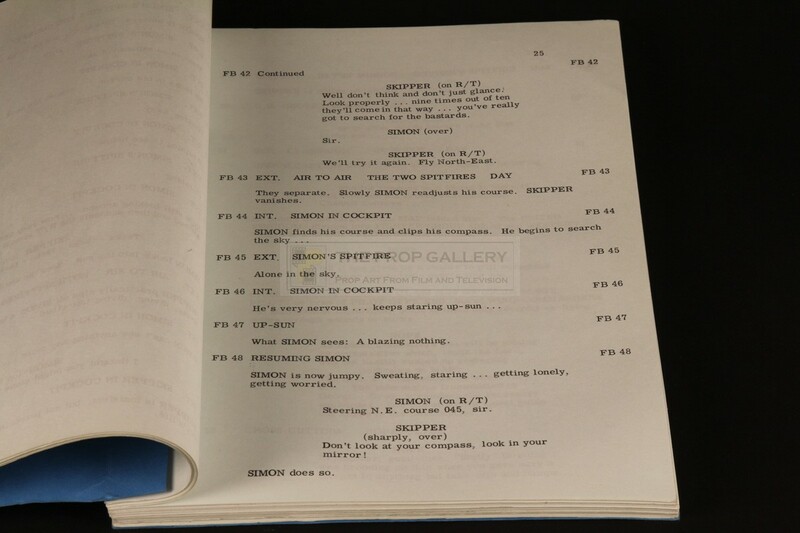 This original production used script is dated 26th February 1968 and comprises of 134 pages in addition to a cover page and credit roll up which are bound within front and rear covers of blue card with a window cut out to the front revealing the title of the movie to the cover page. 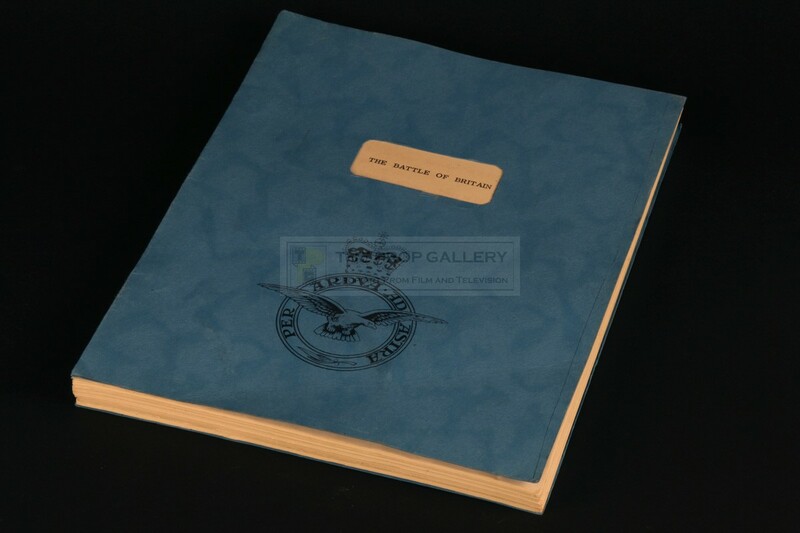 The front cover features the badge of the Royal Air Force which consists of an eagle superimposed on a circlet surmounted by a crown. 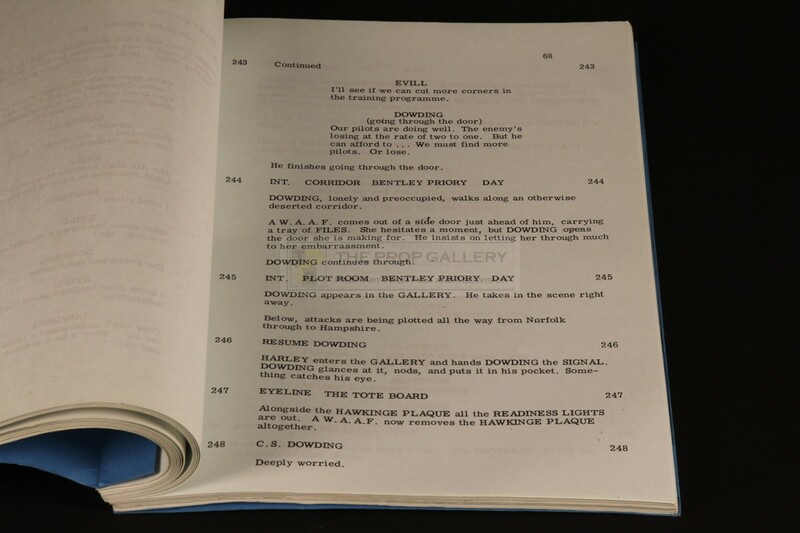 The script remains in excellent production used condition with only minor wear from handling, extremely fine. This represents an exceptionally rare example of original production material from this quintessential British war picture.